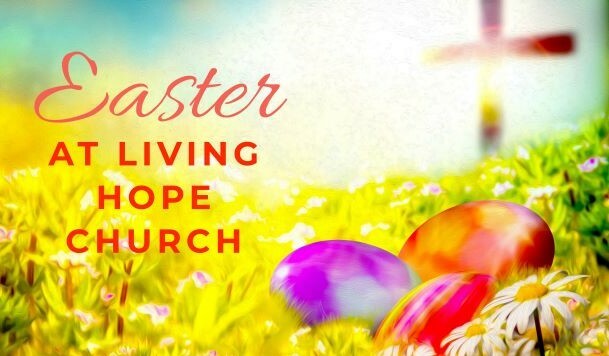 Living Hope Church invites the community to a FREE Easter Egg Hunt, Petting Zoo, Pictures with the Easter Bunny, Butterfly Releases, Family Brunch, Special Easter Crafts and Activities for Children, and Easter Worship on Easter Sunday, April 21st, 2019, from 9:30 am to 12:30 pm! The schedule of events is as follows: 9:30 am to 11:00 am Family Brunch; 10:15 am Overview of Morning Activities; 10:20 am Butterfly Releases; 10:25 am Easter Egg Hunts, Petting Zoo and Pictures with the Easter Bunny; 11:15 am Special Easter Crafts and Activities for children ages 3 through Grade 5, and Easter Worship for Adults. (Additional worship service held from 9:00 am to 10:00 am.) Nursery care is provided from 9:00 am to 10:00 am and 11:15 am to 12:30 pm for children ages 2 and under. For more information, visit www.livinghopega.com or contact Joy Schubert, Director of Christian Education, at joy@livinghopega.com or (770) 425-6726.